STUDENTS have joined forces with a popular orchestra to create an innovative sensory garden for dementia patients. A team of first year learners from the Horticulture course at Coleg Cambria’s Northop site are working with Wrexham Symphony Orchestra (WSO) to transform the space at Wrexham Maelor Hospital Adult Mental Health Unit. They have already cleared the area and will return to landscape and construct the garden, complete with musical features and bespoke furniture, ahead of its opening in Spring 2021. The project is being led by the Orchestra, which is celebrating its 50th anniversary concert season and raises funds every year for charitable causes, including mental health awareness. As part of their Cobalz sponsored Gustav Mahler series – which has been running since 2010 – they are planning a Mahler concert at the iconic Bridgewater Hall in Manchester, with all proceeds going towards the appeal. Derek Jones of the WSO said Coleg Cambria students will play a key role in producing a garden that will have a positive impact on the health and wellbeing of patients for many years to come. “The students have been fantastic in clearing and painting the space in readiness for the work that lies ahead,” said Mr Jones. “There’s a lot of potential and we are excited about how it will look and sound, given the unique shape and size of the outside area. He added: “The orchestra will make its return to the Bridgewater Hall in June 2020 when it will conclude its Mahler cycle, performing Mahler’s 8th Symphony. “We will be joined by a chorus of several hundred voices which makes it the biggest concert we’ve ever performed, so it’s a huge project for us, as well as the college and the clinic. The Adult Mental Health Unit is an acute centre with 71 beds – including the older persons unit – and round-the-clock staff, supporting people with conditions including bipolar disorder, early onset dementia and advanced mental illness. 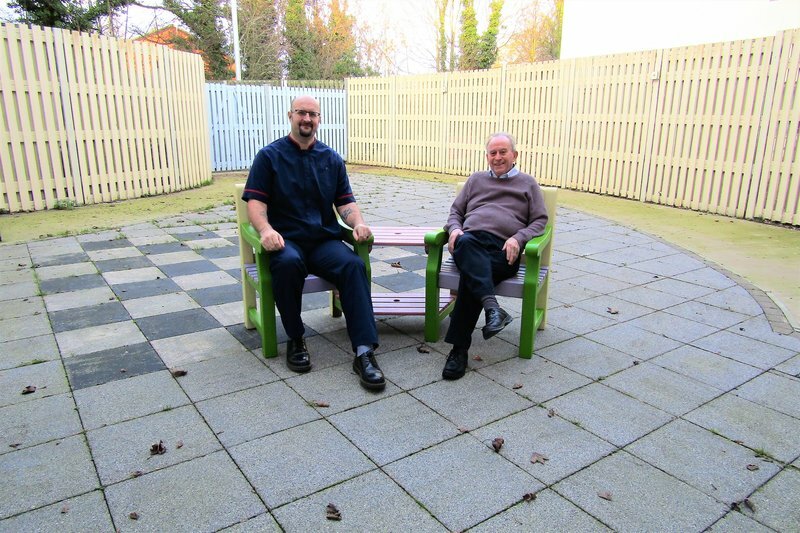 Mike Shone, Modern Matron at the facility, said the completed sensory garden would be “life-changing” for patients and visitors. “We want our ladies and gentlemen to be as comfortable and happy as possible when they’re here, and this will play a huge part in achieving that,” he said. “It’s a very difficult time for families and relatives, coming into a strange environment, so making it less clinical and a more pleasant space which appeals and stimulates all of the senses will be incredible. David Jones, Chief Executive at Coleg Cambria, added: “We are proud of the students and thrilled to be able to contribute towards the construction and delivery of this amazing sensory garden. Visit www.wrexhamorch.co.uk for the latest from Wrexham Symphony Orchestra.